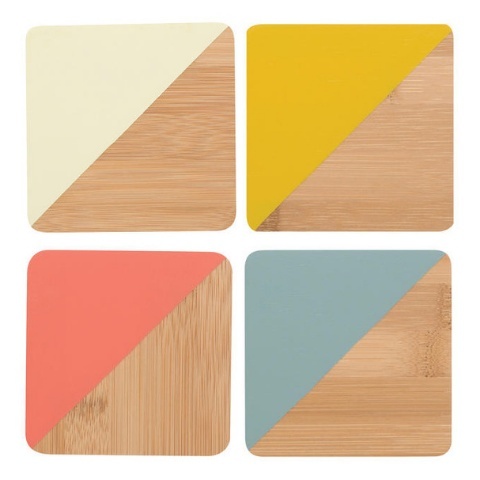 Protect precious surfaces with a multicolor coaster set. 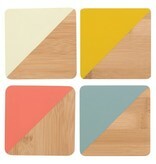 The color blocked designs shows off the natural grain of the bamboo. Guests will be angling to stay for another cocktail.